The holidays are a happy time for celebrating with Arizona family, friends, and co-workers. 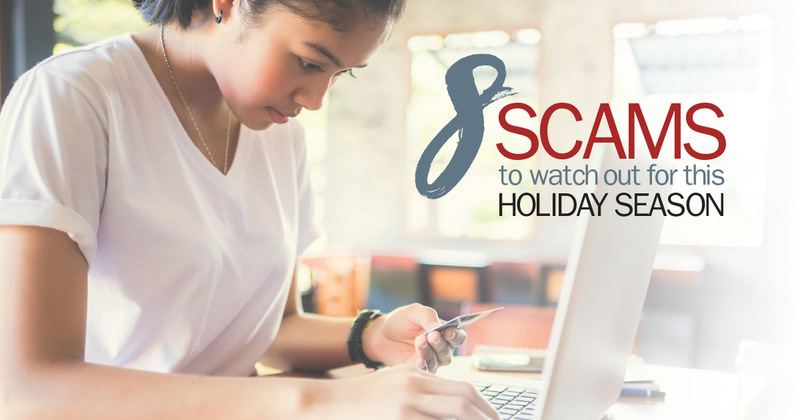 Unfortunately, this time of year can also be turned sour by a wide variety of clever frauds, unauthorized debit and credit card transactions, and bogus person-to-person scams. By the end of 2015, individuals, retailers, charitable donors, and companies were victimized to the tune of $1.5 billion… and that number is expected to have gone up in 2016. The best way to reduce your risk of data breaches is use cash for all your purchases. According to a survey by TransUnion, however, only 20 percent of Arizona shoppers plan to pay with cash. If you’re part of the 80 percent using plastic, use a credit card instead of a debit card. You have more purchase protection using a credit card than a debit card if a data breach occurs or fraud happens. E-commerce is great for holiday shoppers… but it’s also great for thieves. Last year, Insurancequotes reported that 23 million people had packages stolen at their front door! Some of my Arizona neighbors have even reported this happening.